The Algonquin Art Centre is a world-class art gallery that showcases some of Canada’s foremost wilderness and wildlife artists. Located in one of Canada’s most beautiful provincial parks, the AAC is built upon a long tradition of artists in Algonquin Park from Tom Thomson to Michael Dumas. By displaying the newest works by Canada’s top artistic talent, the burgeoning of this tradition can be enjoyed by visitors and art lovers from all over the world. 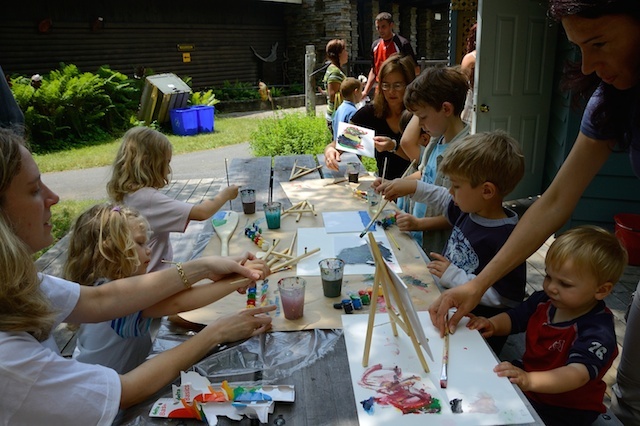 Fostering creativity is a significant part of the Algonquin Art Centre, and we achieve this by organizing a number of art classes, art demos, and family art activities. The Algonquin Art Centre also has a fully-stocked Gallery Boutique gift shop which features a wide selection of Canadian-made, eco-friendly souvenirs. The shop alone is well worth the trip into the park!